Here's a sneak peak of the new boy's room, and the star of the room, an industrial barn light found at the thrift store for $6. I was so excited to find this beauty but it sat in my garage for months until I decided it would be perfect in the boys' room. Not everyone is lucky enough to find a beauty like this at the thrift store, but you can win your very own here. 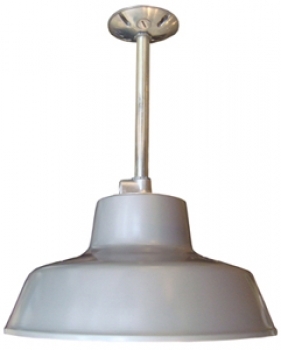 Barn Light Electric has so many cool options. Here's how you can win for yourself. 1. 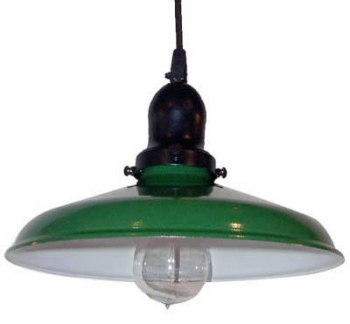 Look around online at Barn Light Electric and pick lights you’d love to own. 2. Feature your lighting picks on your personal blog, and link to the lights if you can! 3. Copy/Paste these rules at the bottom of your blog article. 4. Once your personal article is up, you must email your blog link to:contest@barnlightelectric.com to be qualified to win. The contest ends October 12th, 2011.
keep primping and good luck! P.S. Be back tomorrow for the full boy's room reveal! OOOH! 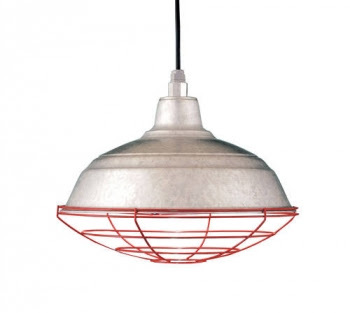 I have been looking for a light similar to this for my little boy's room. It's perfect! Still looks old/vintage but still masculine, ya know? Just my boy's style. Thanks for sharing. $6 is such a steal!! I was just venting to my husband last week that the one thing I felt like I compromised on when building our house are the light fixtures. We simply could not find anything we liked...and now there are so many options! I think I might just have to start replacing them all. What a great score! I've always enjoyed a Vintage Industrial Vibe and Commercial Loft look to a room. Love the light,I am looking for something similar for my outdoor lights. You sure got a bargain. I found , luckily , two barn lights for $4 at a yard sale!! Mine aren't in as good shape as yours. But, I think with a little paint they are going to look awesome! I'm drooling over this light:-) Great find! ooohhh... LOVE those lights! Thanks so much for sharing this! 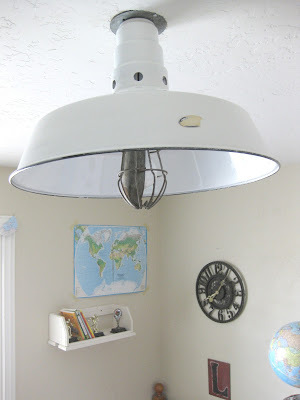 I'm visiting from TT&J weekend wrap-up and I'm so glad I saw this- we're in the finishing stages of an entire kitchen re-do and we're currently looking at lighting options. These are perfect! Cute cute cute. Wait, not cute. Great find! I look forward to seeing the full reveal. Hope you are able to join us at the It’s a Wrap Link Party at Artful Rising. Silver Platter Giveaway and a Winner!